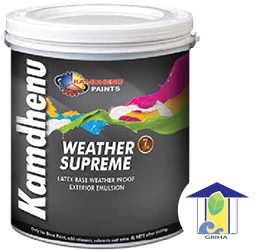 Weather supreme Exterior Emulsion is based on 100% pure acrylic resin system. 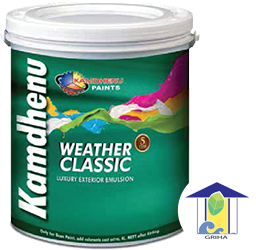 It is a smooth water based, modified acrylic, exterior wall finish with silicone additives with advanced anti algal & weather proof to keep the outer walls of your home as good as new always. Kamo Shield is a heavy-duty pain specially developed to withstand rigorous weather condition and offers offers excellent resistance to chalking, cracking and weathering in comparison to cement paint.